Tales of the GI: In the Zone! 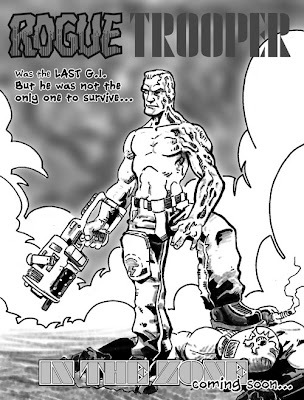 Following on from the strip on 2000ad Review, the mighty Sprout is continuing his tale of what happened to another GI on that fateful day IN THE ZONE. The Zarjaz 30th Anniversary Special. A rather nice review of the recent Dredd special here, thanks to Joe Gordon of the ever readable FPI blog. Interview With Dave & Colin. If you click on the link above it will take you to an interview/conversation between myself (Dave) and Former Zarjaz editor Colin dinnie, covering the changeover. Thanks to the folks on ComicsVillage for this. Back in December, we linked to a competition that we were running in the latest Dogbreath (17) to win one of two sets of STRONTIUM DOG CASE FILES 2 and 3 courtesy of Rebellion. Amanda Kear (familiar name) and Jamie Bunn. Congratulations to both of you and the books will be in the post latrer this week. Many thanks to all who entered.